"The Mauryan soldier does not himself the Royal treasuries enrich nor does he the Royal granaries fill… The soldier only and merely ensures that… He is thus the very basis and silent, barely visible cornerstone of our fame, culture, physical well-being and prosperity; in short, of the entire nation building activity.” - Chanakya, to the King of Magadh. The Concept of Nation Building was originally used by American political scientists after World War II to describe the need for integration of the state and society as an inescapable step for national growth. Nation building referred to the efforts of newly independent nations, notably the nations of Asia and Africa, to reshape territories that had been carved out by colonial powers or Empires without regard to ethnic, religious, or other boundaries. These reformed states later on became viable and coherent national entities because of their nation building efforts aimed at establishing a national identity for themselves. This was needed to be deliberately constructed by moulding different ethnic groups into a nation, especially since in many newly established states colonial practices of divide and rule had resulted in ethnically heterogeneous populations. Nation states are political units in an international system and they represent the citizens aspiration to be grouped in a single political unit that would in turn act as an instrument to achieve, life, liberty and pursuit of happiness. So the process of Nation Building by any nation aims at the unification of the people within the state so that it remains politically stable and viable in the long run. The 21st century looks towards security, justice, economic development and a democratic polity as the pillars of nation building. Security comes first in the pecking order because the other three pillars function effectively only if the security threshold on the nation, both internal and external, remains intact. This in turn facilitates smooth functioning of democracy and brings in its wake social justice and economic development. In India, democracy has managed to hold and the constitution as initially introduced continues to be sacrosanct. This has been facilitated, by no small measure, by the armed forces who have maintained, most scrupulously, the ideals enshrined in the constitution and have made a great contribution towards nourishment of democracy in the nation. The strength of the armed forces lies in their high standards of discipline and morale supported by a secular outlook and an apolitical demeanour. They have, in the highest spirit of nationalism, stepped forward to face all challenges posed to the nation and have been a pillar of support to the people who look up to them in times of crisis. The capability of the nation to maintain its most significant pillar of security, has contributed significantly to the progress that it has recorded post independence. The Army with their ingrained spirit of Nationhood can certainly play a significant role in fostering the spirit of ‘inclusive growth’ as enunciated by Government. The Army have been a symbol of unity and secularism through turbulent times faced by the country and have fostered the spirit of One-India, like no other organ of the state. Be it the sectarian clashes, terrorism or insurgency, the Army have maintained their ethos; an ethos that has proved to be a strong fabric for National Integration. The Indian army has always devoted itself to being able to successfully carry out any of the roles that the elected government has allotted to it. The prime and major role is clear - defend the nation against its potential enemies. This per se is not a nation building function but it is the absolute pre requisite for nation building. To fulfill this primary role, the requirement is that the army are in readiness to defend the nation at all times. In a rapidly changing security matrix this role of the army needs to be further strengthened. The British followed the path of least resistance by leaving the status of 600 odd princely states within the union ambiguous and unsettled while announcing India’s Independence. It required the vision of India’s first Home Minister Sardar Patel to make these states accede to the Indian Union and turn the country into one cohesive whole. He used the soft power of the nascent state to request, persuade and cajole these states to become part of India. However, the benign presence of Indian Army was always there in the background as a symbol of hard power. Sardar Patel did not hesitate to use hard power of the Indian Army to those couple of states which did not see the logic and refused to accede to Indian Union. Indian Army spearheaded the effort to integrate Junagadh (1947), Hyderabad (Operation Polo, 1948), Goa (Operation Vijay, 1961) and Sikkim (1975) with the Indian Union. Army participated in the interventions in the Maldives and Sri Lanka at the behest of the governments of these countries. Without the intervention of Indian Army the geography of the country would have been totally different. Army’s role in nation building has been outstanding. Indian Army has participated in peace-keeping operations and earned the gratitude of beleaguered people from Korea to the Congo, from Kampuchea to Bosnia-Herzegovina. it was the Indian Army on which the nation relied to bring in a semblance of order in the mayhem and massacres of hundreds of thousands that took place during mass scale migration of people in Punjab and Bengal post the announcement of the Radcliffe award on partition of the country. The invasion of J&K by Pakistan aided, abetted and supported by razakars in 1947-48 was thwarted by the Indian Army despite a last minute entry when the attackers were knocking at the gates of Srinagar. Similar attempts by Pakistan in 1965, 1971 and 1999 met with the same fate, thanks to the heroic efforts of the Indian military. In fact, ignominious dismemberment of Pakistan and surrender of 90,000-93,000 Pakistani officers and men in 1971 added a glorious chapter to the history of the Indian Army and gave the Country something to be proud of. All these victories have been achieved by the military in service of the Nation through supreme sacrifices and at a tremendous cost to life and material itself. Insurgencies in different parts of the Country have been a regular feature since the time we became Independent in 1947. Separatism, communalism, sectarianism, naxalism and Left Wing Extremism have been raising their ugly heads from time to time, striking at the roots of the very unity of the Country. Externally abetted proxy wars like the current one in J&K are a constant attempt to undermine the integrity of the Country. Despite heavy odds, it is the Indian military which has kept the concept of One India alive. In tackling these insurgencies and fighting proxy wars, it has suffered more casualties than it did during the entire Second World War. In fact, the Indian state has always used the Army as an instrument of last resort when all other means have failed. It is to the credit of the Army that it has invariably delivered in all difficult situations. Our countrymen recognise this contribution and therefore have tremendous respect and admiration for the military. Not many countries can boast of many successful counter insurgency operations like India have in Mizoram and other North Eastern states and Punjab. Some other operations are well under control. Gwadar has lain in relative obscurity since 1958 when Oman sold it to Pakistan. It was only 50 years later that the Chinese ‘rediscovered’ it. Pakistan and China have much to learn from the British experience of this strategic asset In Islamabad last month all talk was of the China Pakistan Economic Corridor (CPEC) and of Gwadar. Pakistan views the project as a form of national salvation following all the setbacks of recent years; the problems with power outages (“load-shedding”), the challenges of extremism, the tensions with Afghanistan, and above all, the rapid erosion of trust in its relationship with the United States. The widespread belief is that China, the “all-weather friend”, has come to the rescue with a plan of breathtaking proportions and ambition. Pakistan said on Tuesday that it had suspended military and intelligence cooperation with the United States in the wake of Washington’s decision to stop security assistance to Pakistan. On Tuesday, Pakistan’s Minister of Defense, Khurram Dastgir Khan, said that his country had terminated all cooperation with the US in the areas of defense and intelligence. He said that the move was a response to the announcement by US President Donald Trump last week that Washington would stop providing security assistance to Pakistan. American officials stated that the change in policy took place because Pakistan had allegedly deceived America in the global war on terrorism. On Thursday last week, the President Trump accused the Pakistani government of having given the US “nothing but lies and deceit”. Trump’s accusation was followed by an official statement by the Pentagon, which said that Pakistan should cease to provide “sanctuaries in its territory for Taliban and Haqqani network leaders and operatives”. (Tribune News Service) - When the Trump administration announced this week it was suspending military aid to Pakistan until the country takes more aggressive action against terrorist organizations that have targeted Americans, one of the groups it named was the Haqqani network. Compared to other extremist groups, it is unfamiliar to many people in the US. Jalaluddin Haqqani was an Afghan warlord and a leader of the insurgency against Soviet forces in Afghanistan in the 1980s, when he formed his Sunni Islamist militant organization, which the US government did not designate as a foreign terrorist organization until 2012. 'If push comes to shove, Pakistan does have the capability to make it difficult for the US and NATO forces to make even a withdrawal of troops out of Afghanistan in orderly fashion,' says Ambassador M K Bhadrakumar. A week after US President Donald J Trump's tweet on New Year Day, Pakistan is sitting tight.A Pakistan foreign ministry statement in Islamabad on Saturday, January 6, politely and firmly told the Trump administration that 'arbitrary deadlines, unilateral pronouncements and shifting goal posts are counterproductive.' The implicit warning is obvious. Having said that, lines of communication remain open. The statement follows suspension of delivery of security funds and military equipment based on U.S. officials lack of satisfaction with Pakistani leaders' efforts against terror groups.President Donald Trump departs the White House on January 5, 2018 for a weekend trip to Camp David where he will met with Republican leadership. Jan. 9 (UPI) -- The Pentagon has clarified what the United States expects of Pakistan after suspending the delivery of security funds and military equipment, and what needs to happen for delivery of both to start back up. The Chinese military has recently tested short- and medium-range missiles that could put a U.S. military base or Japan in harm’s way, according to local reports. The People’s Liberation Army Daily, the official newspaper of China’s armed forces, revealed images and footage of missiles that appeared to be either DF-11 or DF-16, which could travel between 373 and nearly 625 miles. Although it did not specifically mention where or when the test was conducted, the publication pointed out that it was carried out in several locations, the South China Morning Postreported Tuesday. Public agitation in Iran has many wondering about the fate of the almost 40-year Islamic republic. As evident from the way in which the latest wave of protests has been contained, popular unrest is unlikely to bring down Iran’s clerical regime. That said, the demonstrations underscore a political economic problem in the Shiite Islamist state. Before it can truly address its economic problems, it needs to sort out the war that the regime is having with itself. Control centre Norad ( Cheyenne Mountain ) near Colorado Springs. The new nuclear policy is significantly more hawkish that the posture adopted by the Obama administration. The Trump administration plans to loosen constraints on the use of nuclear weapons and develop a new low-yield nuclear warhead for US Trident missiles, according to a former official who has seen the most recent draft of a policy review. Jon Wolfsthal, who was special assistant to Barack Obama on arms control and nonproliferation, said the new nuclear posture review prepared by the Pentagon, envisages a modified version of the Trident D5 submarine-launched missiles with only part of its normal warhead, with the intention of deterring Russia from using tactical warheads in a conflict in Eastern Europe. Things have gotten so weird in America and around the world that we are actually now living in the Star Wars Prequels. The main event in the prequels was the Clone Wars, which was fought between the Galactic Republic and the Confederacy of Independent Systems—also known as the Separatists. Chancellor Palpatine—secretly the Dark Lord of the Sith—manipulated both sides into a conflict that wore the Galaxy down to its core. Palpatine headed the Republic, while his apprentice Count Dooku headed the Separatists, and after three years of war, the Galaxy was shattered. Palpatine used the end of the war to combine the entire Galaxy—including the Separatists—into a new empire that he could rule for life. The Russian military says it has fought an attack by a swarm of drones launched by jihadists against its bases in Syria. Thirteen attack drones were launched against the Khmeimim air base and a naval facility in the city of Tartus on Syria’s western coast, the Russian defence ministry said. Russian forces shot down seven of the drones with anti-aircraft missiles while the other six were hacked by a cyberware unit and taken under Russian control, the ministry said. No damage or casualties at the two military bases were reported. The most important lesson from Russia’s involvement in the 2016 presidential election may be this: foreign hackers and propagandists are not afraid to launch attacks against the United States in and through cyberspace that they would not dare risk in a real theater of war. So as cyber aggression gets worse and more brazen every year, it’s crucial that the Department of Defense figures out how to deter foreign actors in cyberspace as effectively as in nuclear and conventional warfare. The Pentagon can take five steps to better deter foreign cyber attacks. WASHINGTON – Today, Rep. Elise Stefanik (R-NY), Chairwoman of the House Armed Services Subcommittee on Emerging Threats and Capabilities, made the following remarks, as prepared for delivery, on the Subcommittee’s hearing titled “China’s Pursuit of Emerging and Exponential Technologies .” For testimony and to watch the hearing click here. “I would like to welcome everyone to our first Subcommittee event for 2018. Today we will examine China’s Pursuit of Emerging and Exponential Technologies and the resultant impact on U.S. national security. COUNTRIES are supposed to sort out border disputes before they join the European Union (EU). 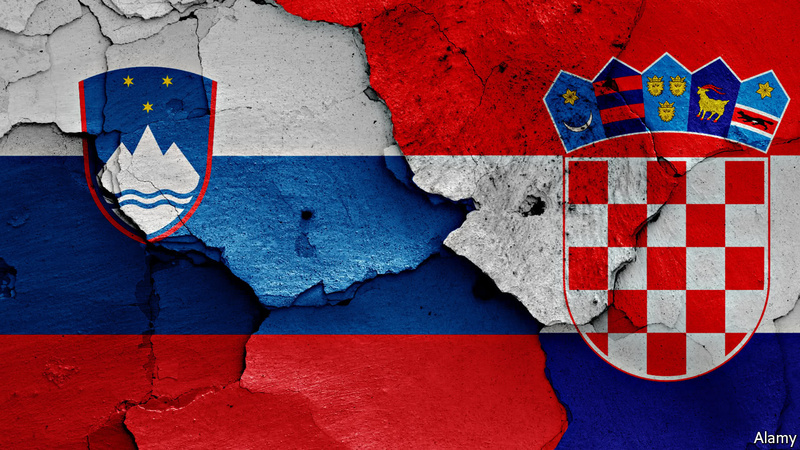 Slovenia and Croatia did not and that failure has returned to haunt them. Since December 29th hackles in the northern Adriatic have risen. Tiny police launches are puttering about menacingly on the Bay of Piran, where the two countries are disputing the position of their shared maritime frontier. Nationalists on both sides have been demanding that not an inch should be ceded. The police boats could conceivably start ramming each other. Whatever they do, the dispute serves as a reminder that EU membership offers no guarantee that perfectly resolvable border arguments will be sorted out sensibly. After all, these are not the Golan Heights. NEW YORK (Reuters) - The inability of law enforcement authorities to access data from electronic devices due to powerful encryption is an “urgent public safety issue,” FBI Director Christopher Wray said on Tuesday as he sought to renew a contentious debate over privacy and security. The Federal Bureau of Investigation was unable to access data from nearly 7,800 devices in the fiscal year that ended Sept. 30 with technical tools despite possessing proper legal authority to pry them open, a growing figure that impacts every area of the agency’s work, Wray said during a speech at a cyber security conference in New York. The FBI has been unable to access data in more than half of the devices that it tried to unlock due to encryption, Wray added. The United States, if it follows through on plans to modernize all three legs of its nuclear triad, would perpetuate a Cold War deterrence structure inappropriate to contemporary threats. The Cold War nuclear triad may have been appropriate for deterring nuclear aggression by the Soviet Union, but today the United States must prepare to deter all nuclear powers, especially rogue states such as North Korea. Establishing strategic deterrence for the 21st century will require, in addition to maintaining an appropriately structured nuclear force, focusing on missile defense, intelligence, and conventional long-range strike capabilities – as well as on alliances, partnerships, and institutions at all levels. Intercontinental ballistic missiles have become unnecessary. They are less accurate than submarine-launched ballistic missiles. They are easier for adversaries to target. And because they can plausibly be used only against Russia, they do little to deter prospective nuclear rogue actors. Intercontinental ballistic missiles should be phased out of the US nuclear arsenal beginning no later than 2030. U.S. Cyber Command has quietly reorganized its hierarchy to include a second deputy, a three-star general who reports to the commander. 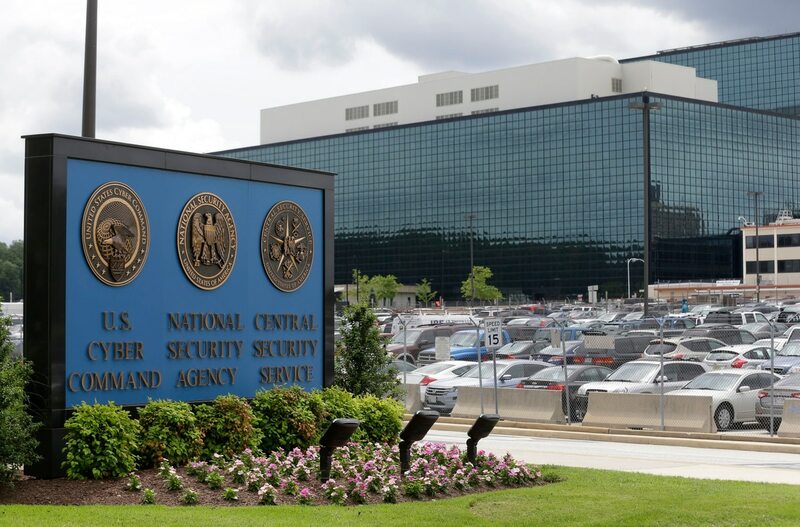 The move comes after President Donald Trump, in accordance with congressional mandate, directed Cyber Command to elevate to a full unified combatant command out from under Strategic Command. It also takes place as the agency prepares for a new commander with the expected retirement of Adm. Michael Rogers this spring. What’s Blowing Up the Bitcoin Bubble? Investors and speculators are biting into bitcoin — in a big way. The price of the cryptocurrency surged by nearly 1,900% in 2017, to an average high of $19,499 on December 15 across major bitcoin exchanges, before plunging down to just under $14,000 by year’s end, according to blockchain.info. The ascent is striking especially since bitcoin emerged just eight years ago, the creation of a mysterious person or group of people named Satoshi Nakamoto. In 2009, bitcoin was worth zero. The US approach to cybersecurity implicitly rests on an effects-based logic. That is, it presumes that the key question determining how the US and others will respond to attacks is what effects they have. Whether the effects come about as a result of cyber means or kinetic means is largely irrelevant. In this article, we explore this logic further, focusing on the question of when the US should deploy cyber responses and when kinetic. We find that under a simple effects-based logic, kinetic responses will often be more effective than cyber responses, although we explain that cyber attacks that 'leave something to chance’ may be an effective deterrent under some circumstances. We next develop a richer understandings of actors' expectations by employing the concepts of focal points and saliencies. In this framework, kinetic responses may be considered too escalatory, and therefore less attractive under many circumstances. If there are 'focal points' emerging, under which cyber attacks are seen as qualitatively distinct from kinetic attacks, then crossing a saliency may appear escalatory, even if the actual effects of the kinetic and cyber attackes are identifical. Finally, we examine nascent norms around cyber, suggesting that the US may wish to consider promoting a norm against large scale attacks on civilian infrastructure, and evaluating the prospects for a norm against cyber attacks on nuclear command and control systems. IS ESTONIA’S APPROACH TO CYBER DEFENSE FEASIBLE IN THE UNITED STATES? White House cyber-security coordinator Rob Joyce warned in August that the United States is lacking 300,000 cyber-security experts needed to defend the country. His warning is all the more alarming given ongoing and increasingly sophisticated threats in cyberspace — in addition to resource and talent constraints in the public sector, poor cyber habits and awareness, lack of cooperation between government agencies, and limited coordination frameworks for existing volunteers.